Ben Stokes led England to a famous win over New Zealand at Lord’s on Monday. The Kiwis were in control for large periods and found themselves 403 for three in reply to England’s first innings score of 389. However, Cook’s men managed to secure a win in the opening Test in the two-match series. England are now installed as 13/10 favourites to secure victory in the second test which starts on Friday at Headingley. New Zealand will have been encouraged by some of the cricket they played during the series opener at Lord’s and they are 11/5 with BetVictor to win the second. Following this result, Australia have been pushed back to 4/9 favourites to claim Ashes success, while England are now 3/1 to regain the urn with the draw 6/1. Sussex are 12/1 for the NatWest T20 Blast after winning two of their three games in the competition to date ahead of the visit of Middlesex on Friday evening. 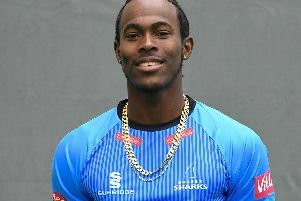 You are almost guaranteed a close game with the Sharks it would appear given they lost to Kent by seven runs, before beating Gloucestershire by six runs and Somerset by five runs. The English League season comes to a close on Saturday as Arsenal face Aston Villa in the FAc Cup final at Wembley. Arsenal, who won the trophy last season, are priced at 1/2 to reclaim their crown in 90 minutes, while they are priced at 2/7 to clinch a second straight FA Cup crown. The Gunners are likely to play Theo Walcott in the final following his final day hat-trick against West Brom. BetVictor have the England winger 7/1 to net the first-goal in the final.